Now, I am going to be honest. I am not a huge fan of making bags. I love the idea of making them and then the flame just fizzles once it's finished and then I never use it. However, with this bag I know I will use it! 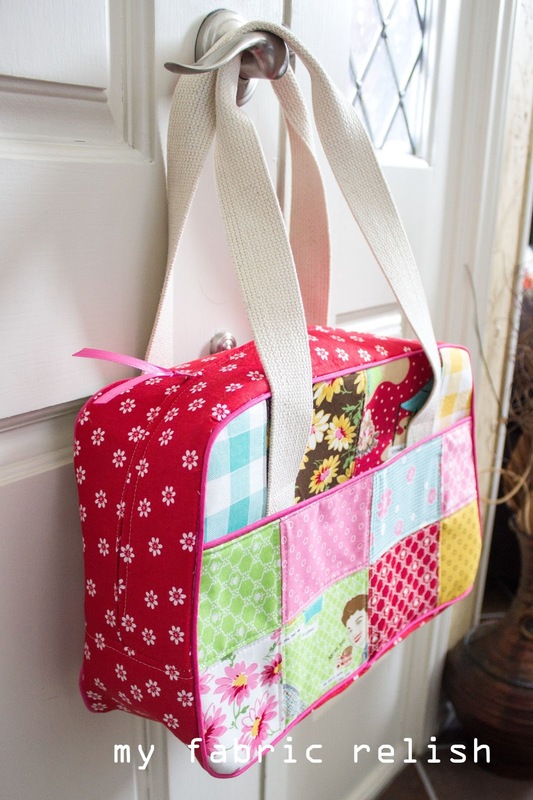 It will be great for packing all my quilty supplies when I go to retreats or sewing club. If it wears out, I can make a new one! That's the awesome part about patterns, especially pdf ones. I would say this pattern is not for the beginner, but more intermediate. I had never sewn with piping before and I definitely need some more practice. I would have to say the hardest part was attaching the side panels to the main sides and the piping. Clover Wonder clips saved the day! I think this would be an issue with any bag like this. I decided to hand stitch the lining inside so I didn't have duplicate stitch lines on top. 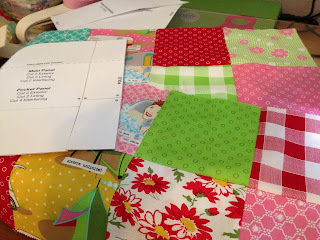 I used my charm pack in Glamping by Mary Jane for Moda and then just some Glamping remnants I found at the quilt shop for the insides. On a side note, I am officially out of Glamping fabric. After a pillow, quilt and now bag I think I've proved my love. I used Pellon 71F for the body but I didn't use any interfacing for the inside lining because I was being lazy or cheap or both...lol. For the panels, you need to make 2 - 3x4 panels and 2 - 2x4 panels (pocket). On the bigger panel, you can use the "boring" charms on the bottom row since it will be hidden by the pocket panel. I used premade piping (two packages) and my handles are cotton webbing from JoAnns. I didn't have a project in mind when I bought the webbing so I was a tad short, but it all worked out. I stitched the top of the handles together to make it easier to hold. 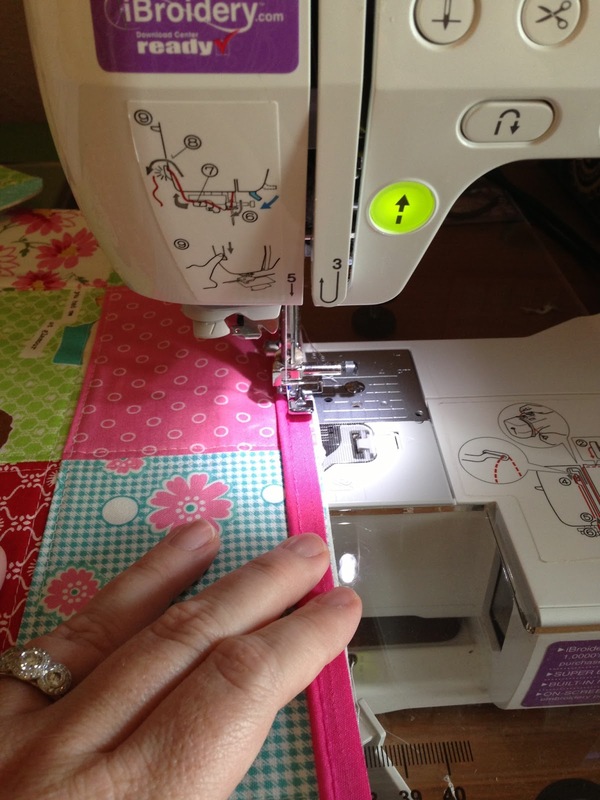 I also used a jean needle while sewing which helped with the thick layers and the thick handles. Getting the premade piping and straps saves a lot of time. 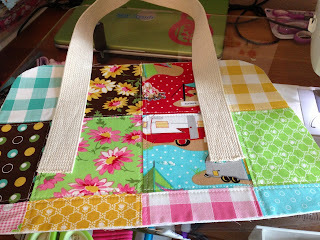 I think the most time consuming part of making the bag was picking the fabric, cutting, and fusing the interfacing. Hand stitching the lining also took a bit of time but it was done on the couch watching tv so I don't count that...haha. Alicia from Paco Bean is also so graciously giving away this pattern to one of my readers. WHOOP WHOOP! All you have to do is leave a comment here and I'll pick a winner Tuesday! Be sure to like her facebook page, too! Giveaway is closed!! Check this post to see who won! Ill be linking up with all the great linky parties to the right and Crazy Mom Quilts! Love this bag and would love to have the pattern. Great job on the quilting -- makes it so unique and absolutely charming!! Ooh, I love this! Beautiful work! Combo of two of my fave things...quilting and cute bags. I'd love to get my hands on this pattern. This bag is SOOO cheerful! Fun! Gorgeous, very inspiring, I must make a bag in pink shades! Well, you ran out of Glamping in style, real style! Love it! I love this bag and would love to have the pattern. 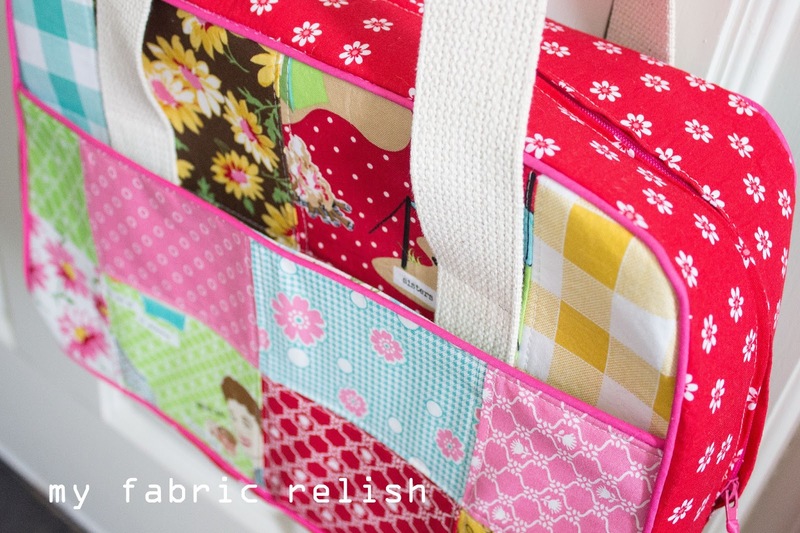 I like having the choice of which fabric I feel like each day when I make my own bags. Loving this bag and the fabric combo. Love what you did with the bag!! Your bag looks gorgeous! Well done! That is such a cute bag! You picked great fabric! Ah, a fellow Glamping fan! Love your bag. I would use it all the time too. In fact, I've got a Glamping bag in my future as well. I think your little girl might fight you for it! Love this!! I would love for you to share and link up at my weekly TGIF Link Party if you haven't already this week. Your favorite posts, most popular, recent or new! The party is open every Thursday night and closes Tuesday's at midnight. Followed by (Not SO) Wordless Wednesday! http://apeekintomyparadise.blogspot.com/. This is a sweet bag, I agree with you about pre-made webbing, it's so comfy to hold and really isn't that expensive. 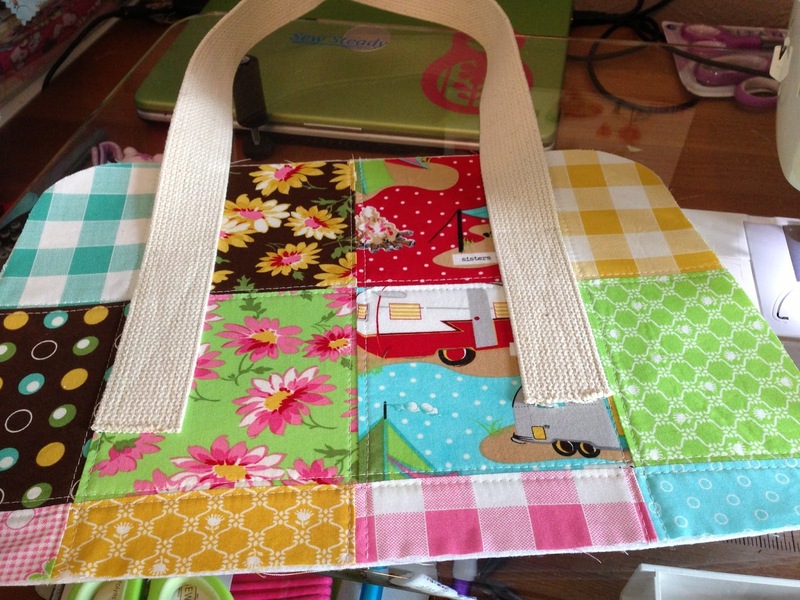 You created a lovely bag, and I would love to try out this pattern. I only learned about Paco Bean yesterday, and I'm awaiting the release of the Dottie pattern. Love the fabric you chose! Super cute. I love the bag too. pretty! I do like her on facebook already too! LOVE this bag, so cute!!! I definitely need this pattern. LOVE IT! The Dorothy has been on my wish list since the moment I first saw it. The only thing holding me back? The reality that I'm not overly fond of making bags & I'd likely cut it out & wait for it to sew itself ;) Love your version & I'd love to win a copy of the pattern! This is an extremely cute bag! 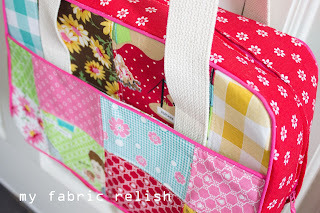 Love the dots and the patchwork together. I have been swooning over this bag for awhile now! 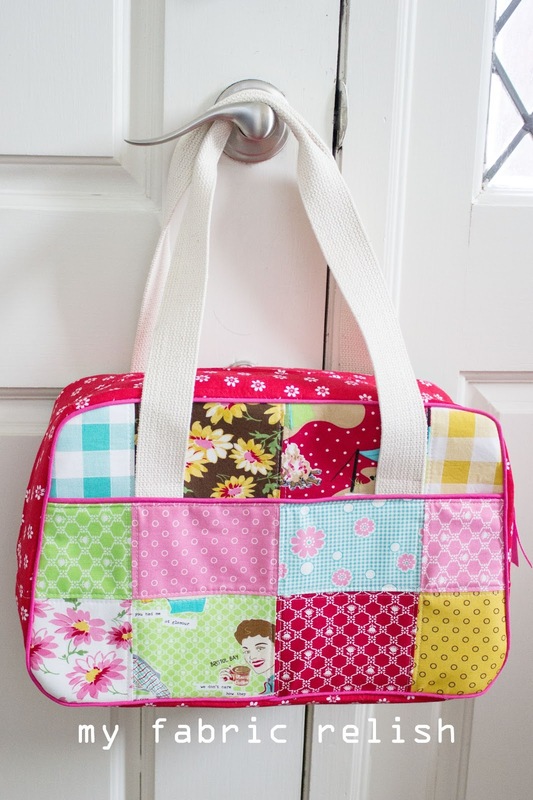 Love your quilted version....it's so pretty! Would love to win the pattern. Thank you for the giveaway! This is so cute. My MIL just made a blanket using this fabric, now she needs the bag to go with it! Thank you so much for sharing at the Sundae Scoop Party.